Tommi Mäkinen to compete in Rally Finland? A bit of a bomb just landed on Twitter, not minutes ago, and while the dust is still settling, we’re trying to understand what’s behind this somewhat cryptic image? I mean, it’s quite obvious, it says certain “Champ is back”, but what’s it about? 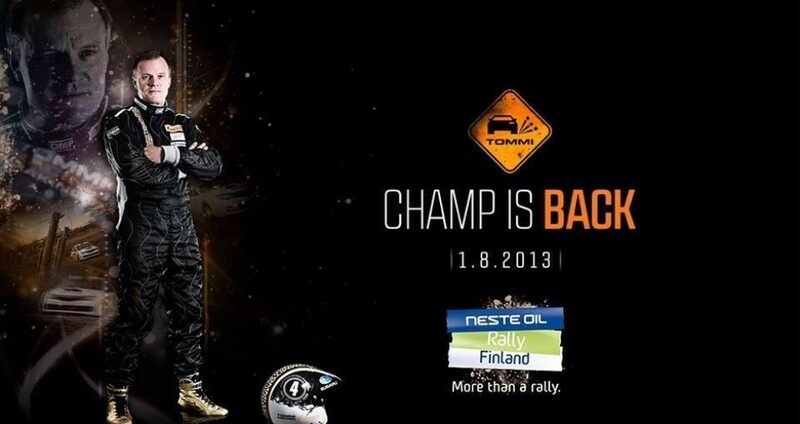 Golden shoes, Neste Rally Finland logo, a number four on the helmet and the infamous Tommi grin? Yes, it really is Tommi Mäkinen – four times world rally champion, one of The Flying Finns. And, judging by the hints on the “poster”, he will do more then just pose at the upcoming Finnish round of the World Rally Championship. Is Tommi fed up with another Sebastien ruling the sport, after we endured so long under the rule of Sebastien “The Big Seb” Loeb? Or is this just a one-off appearance, similar to what Marcus Grönholm and Juha Kankkunen did, competing in their home round, taking the modern WRC cars across the jumps and the crests of this magnificent rally one last time. Plenty of questions, not many answers. For now!